The Third Annual Dennis Farm Symposium will take place on October 7, 2015. This year the symposium celebrates the 200th birthday of Henry W. Dennis (1815-1882). Maria Madison, President of Robbins House, Concord, MA’s African American History interpretive center is the guest speaker. Henry Dennis parents and grandparents were married in Concord, MA in 1804 and 1777 respectively. Their marriage records are in the town’s archives. 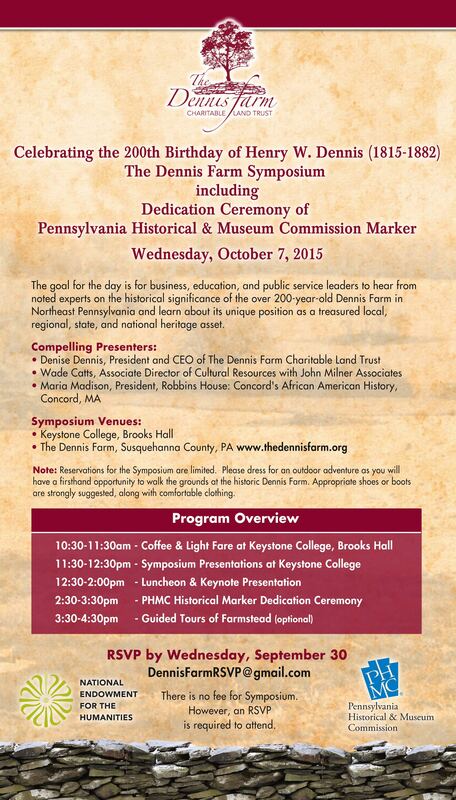 The symposium includes a program and luncheon at Keystone College, followed by the dedication of an official Pennsylvania Historical and Museum Commission (PHMC) marker at the Dennis Farm. 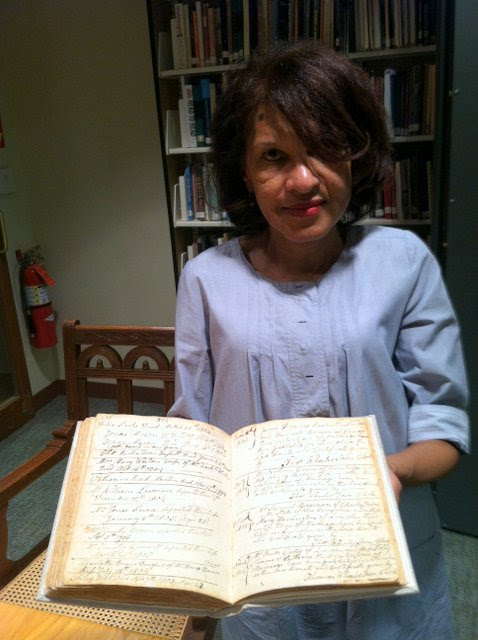 DFCLT President Denise Dennis holds Massachusetts record book where the marriage of her great-great-great grandparents, James and Hannah Benson Dennis, was registered in 1804.